Welcome to the Gated Community of Mona Lisa Village. 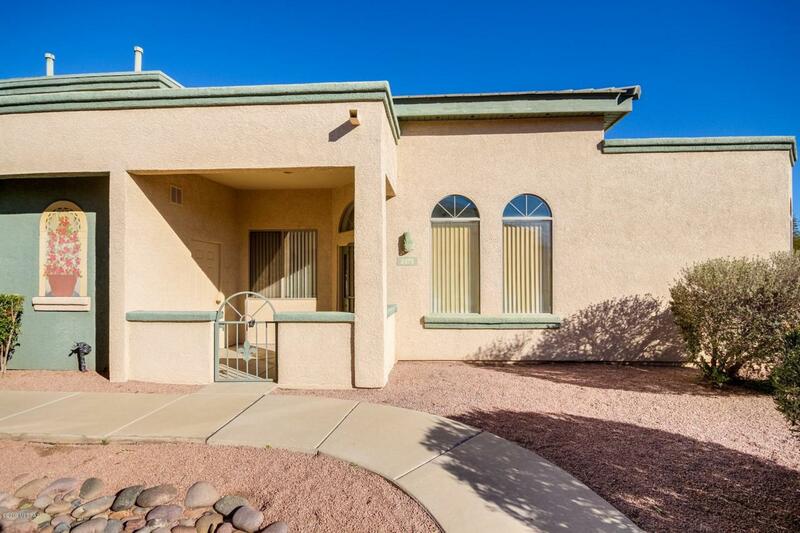 Charming Patio Home boasts vaulted ceilings, arched windows, window blinds, walk in closets w/extra storage room, neutral palette throughout, and open floor plan. 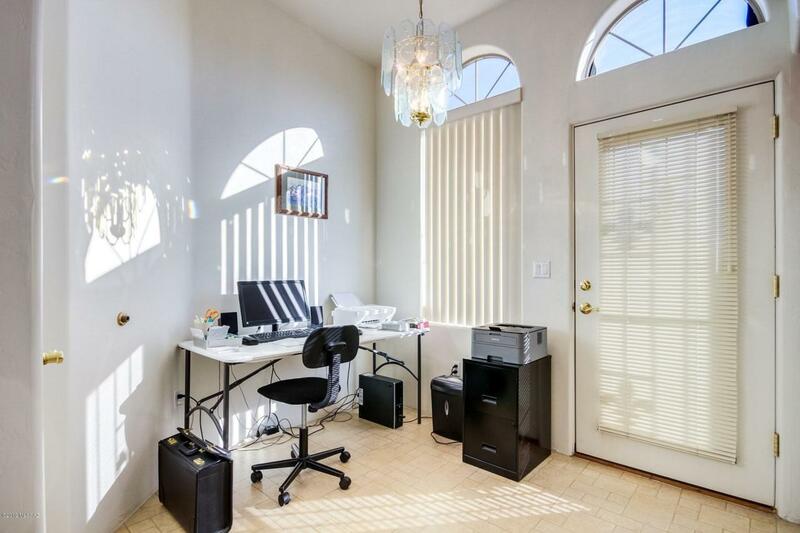 Breathtaking views of the Catalina Mountains and private gated entry. Bonus run free Dog park nearby. Plenty of wood cabinetry in kitchen, breakfast bar, and recessed lighting. 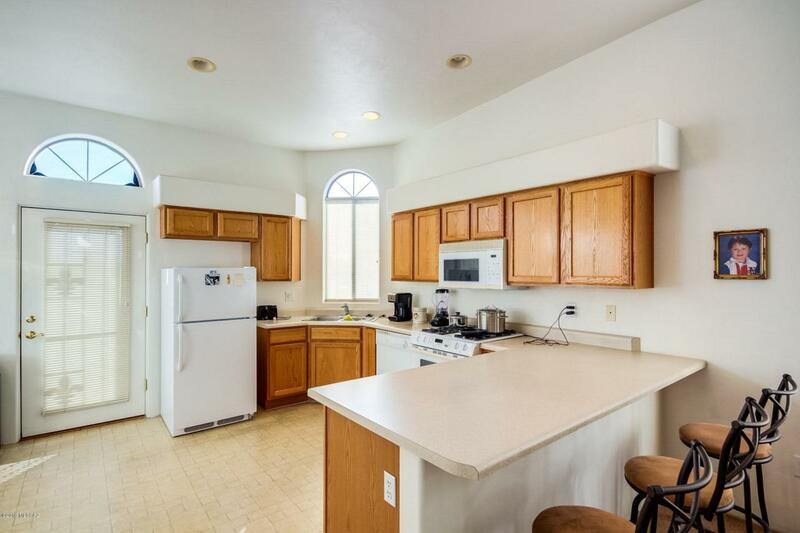 Large great room, plush carpet in all the right places, and interior laundry closet. 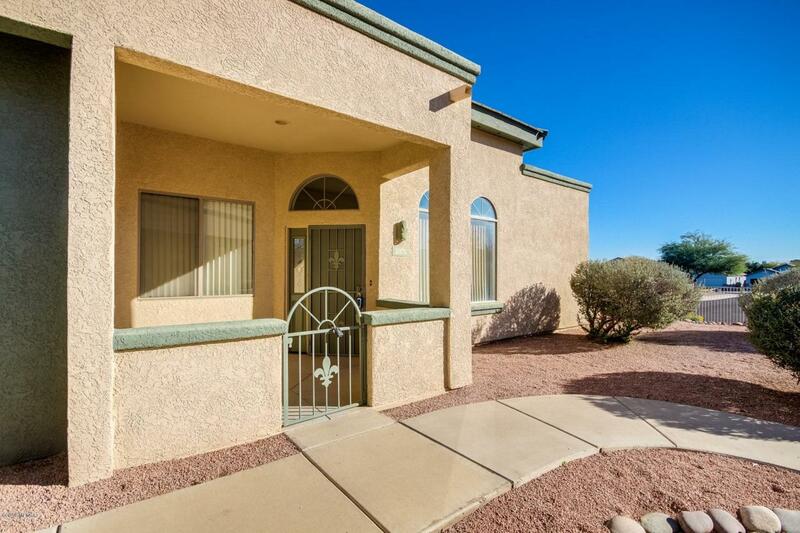 Generous size bedrooms, 2 baths, and enjoyed courtyard area for entertaining or relaxing. Community Rec Center & more. Will not last! 55+ community.